GALAPAGOS NATURAL HISTORY TOURS is a highly experienced tour agency run by trip specialists, authors and biologists GREG ESTES and THALIA GRANT. 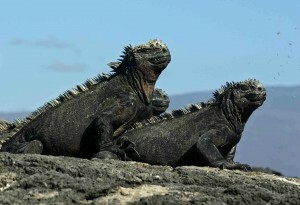 With a background of over 35 years researching in Galapagos and a professional resume of 25 years organizing educational tours, leading trips and working as consultants for universities, museums, zoos, photographers, film productions, friends and family and outdoor enthusiasts, we have unparalleled knowledge of the Galapagos Islands. -Professional, personalized service in booking you on a quality tour suited to your individual needs. 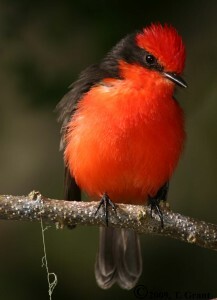 -High-quality, active, educational tours led by renowned Galapagos naturalist Greg Estes . - Custom-designed private charters for your group of 10 or more university students/ professors/alumni, photographers, film crew, birders, friends-and-family, or outdoor enthusiasts . 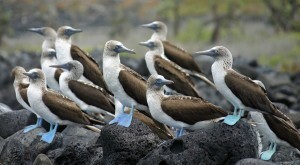 -Lodging and extension trips in Galapagos and on the Ecuadorian continent. -Logistical assistance and scientific advice for your visiting film company, research group or other organization. Most of our trips and charters are led by GREG ESTES, universally regarded as one of the foremost naturalist guides in Galapagos. 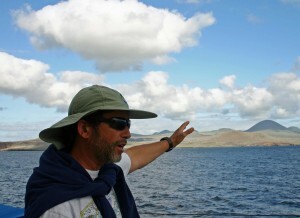 University trained with an honours degree in Biology from the University of London, fluent in English, and with over 25 years experience leading trips in the islands Greg is also unique among Galapagos naturalist guides in having conducted and published valuable ecological and historical research in the islands. Check out Greg and Thalia’s BIOGRAPHY. “It is one great big thank you for an incredible trip! I knew it was going to be pretty spectacular, but it far exceeded my expectations! The entire “voyage” was so well organized and we couldn’t have had a better guide. Greg’s knowledge and stories were so appreciated. I really felt we walked in Darwin’s footsteps and I finally got to see so many organisms that I have only seen pictures of….not to mention an active volcano….tres cool!” -Shona Ellis, University of British Columbia and Simon Fraser University April 2009 trip.